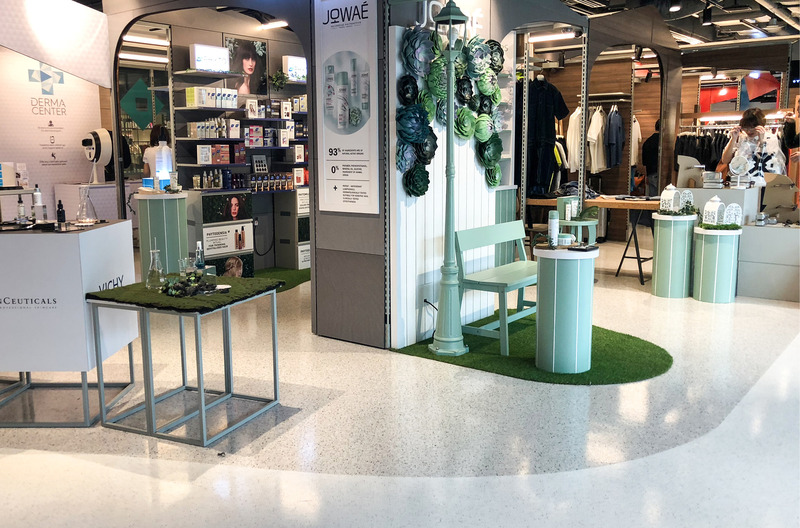 While many of us go shopping on the hunt for a bargain during sale seasons, a few of us will be taking the time to look more closely at the flooring trends in these retail environments. The flooring in many boutiques and showrooms mirror styles seen in the interior design world, particularly where resin is concerned. The popularity of resin flooring in commercial facilities is on the rise for several reasons, a main one being the benefit of having flooring with long-term durability, strength and resistance to foot traffic. These properties mean that stores are able to easily withstand the large crowds of customers visiting stores during sale season. As well as being functional, resin is also seamless, creating an attractive visual of a smooth surface with minimal joints. This makes cleaning the floor much easier as dropped foodstuff, dirt and bacteria have fewer places to hide. 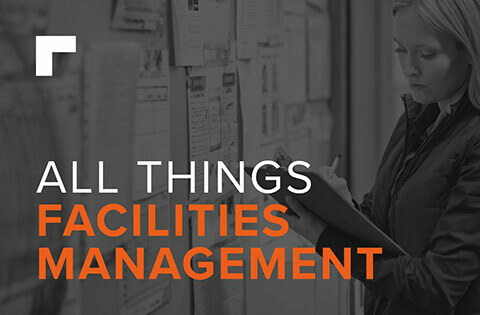 Maintaining high levels of cleanliness not only makes a store more attractive to potential customers, but also keeps the floor looking its best for longer. 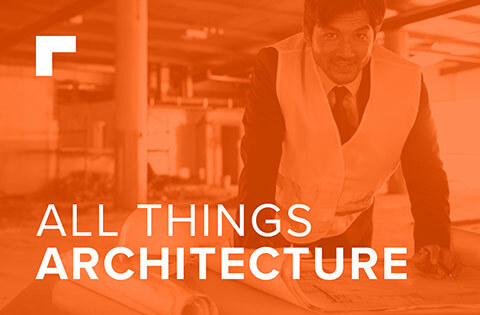 The flexibility of design is a huge plus for resin flooring. A wide range of designs and colours are available, which gives a lot of freedom to designers. 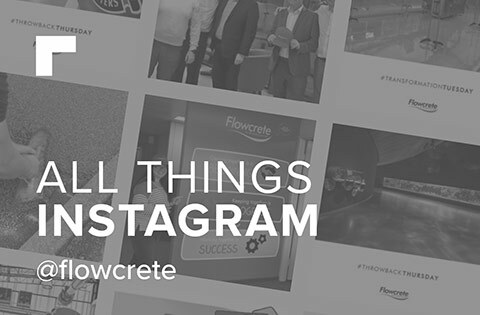 For example, elegant boutiques could choose a classic resin terrazzo, the showroom of a brand aimed at younger audiences could experiment with bold colours or an edgy retailer’s identity could be illustrated using a floor in grey to create a minimalist, industrial interior that is bang on trend. When it comes to chic brands such as Emilio Pucci or Hermès, high quality polished and ground resin terrazzo flooring looks very much at home. 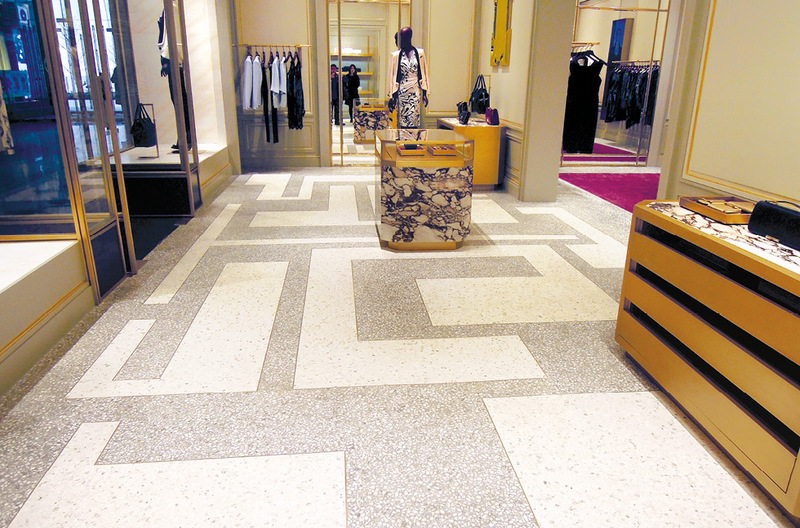 Based on epoxy resin and, among others, marble aggregate, the floor adds an extra touch of glamour to the luxury goods retail store. Thanks to the versatility of this system, almost any pattern can be created using different colours and composites. With the inclusion of metal borders, the joints in the flooring are barely visible, and allow different system combinations to be installed simultaneously. 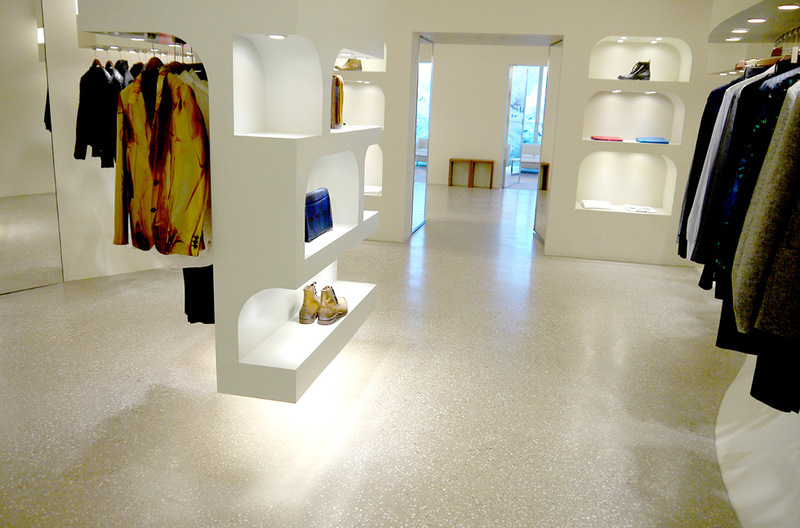 Classic resin flooring generates a modern aesthetic when applied in interiors arranged in a minimalist style, for example in the showrooms of brands such as Alexander McQueen or ASICS. Simple and smart details can also be used to create a unique impression, for example pieces of glass or mirror can be added to the marble aggregate, resulting in a subtle shimmer of reflected light across the floor. 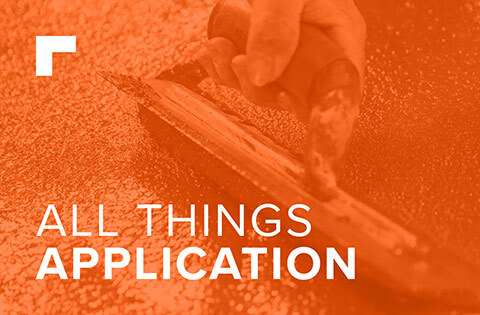 Resin floors allow an almost unlimited number of colours as a result of using dyes, coloured sands or glitter. 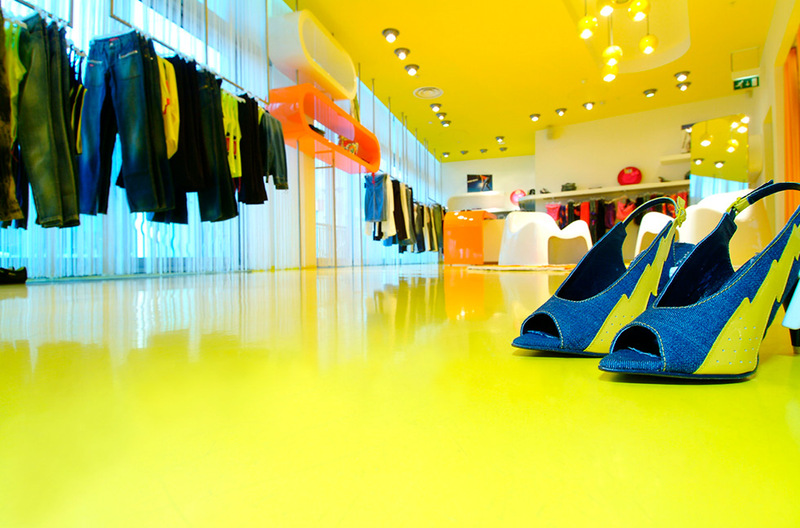 In stores with a distinctive character and audience, as is the case with Miss Sixty, seamless floors in a bright yellow shade were used to reflect the boldness of the brand. 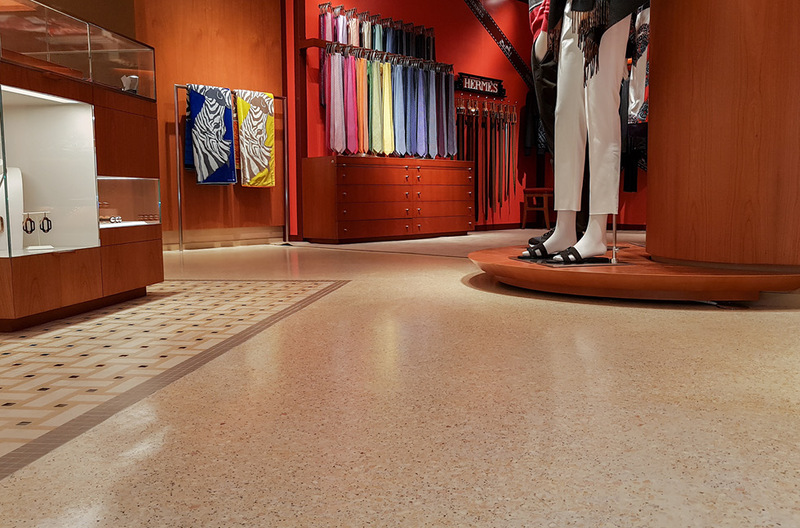 Installations of single-coloured resin floors in glossy, satin or matt finishes are now often found in retail environments, contrasting greatly to the industrial facilities and car parks where they usually feature. 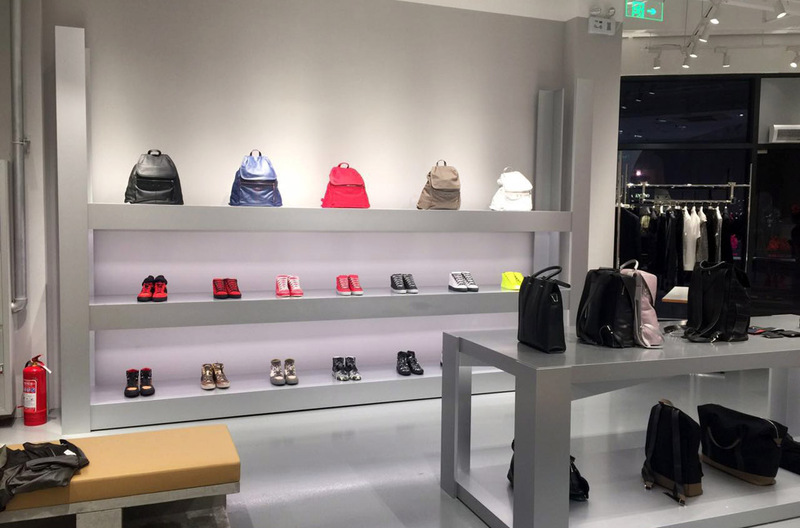 This solution is used both in smaller stores, such as Balenciaga shown below, as well as in large stores like NK FASHION. The neutral floor is the optimal background for displaying goods, and offers a very on-trend industrial vibe. Thanks to the freedom of design and the possibility of obtaining diverse visual effects, resin flooring is currently one of the leading trends in the interior design of commercial facilities. 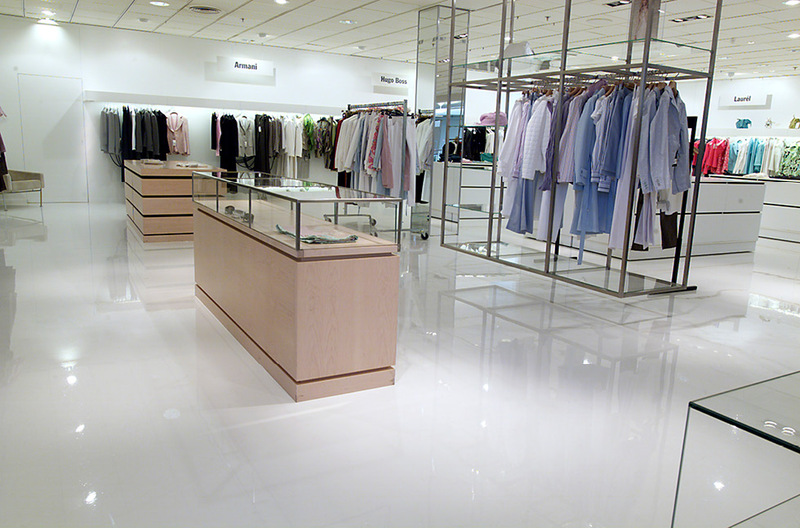 If you would like to find out more about how resin flooring could suit your retail environment, please leave a comment below.